It with great sadness that we announce the loss of our friend and colleague David Briggs. On January 9 2018 after a more than 18 month fight with pancreatic cancer we lost a dear and much respected colleague – David Briggs. David was a pioneer in the development and application of electron spectroscopy and secondary ion mass spectrometry as surface analysis tools and his visionary work made a vital contribution to understanding and exploiting the surface behaviour of organic, particularly polymeric, materials. Dave was born in December 1948 in the Pennines near Oldham, on the border of Lancashire and Yorkshire, UK. Growing up in this historic and beautiful environment made a great impression on him as is evidenced by one of the lectures he has given in recent years to local Probus Groups under the title ‘My boyhood Pennine home’. David went up to Durham University in 1967 to study Chemistry. Following graduation in 1970, his interest in surface analysis was fired by his ICI sponsored PhD research with Dave Clark (1970 – 73) exploring inorganic and catalytic systems using ESCA. The ES100 used in this research was the first commercial ESCA instrument (AEI Scientific Instruments, Manchester UK, later Kratos) and its design owed much to Clark’s input. Dave’s research and his interest in the new spectroscopy and its application stimulated his career-long passionate encouragement of instrument companies to produce kit that could fulfil the requirements of the surface analyst, whose aim is to exploit their ultimate capability to understand and refine the surface behaviour of materials. Dave was never satisfied with the present performance of the kit, he always knew more was possible and he saw no reason for the company not make their instrumentation provide it. After his PhD work that laid the ground for his reputation as an expert in XPS, and having recently married a fellow Durham languages student Jill, he moved to a research scientist position in ICI Corporate Laboratory based at Runcorn. The move to ICI provided Dave with a wonderful range of products whose performance was very frequently highly surface chemistry dependent. It was an R&D environment crying out for surface analysis and Dave was determined that he would be the provider of the Holy Grail. Dave’s success in doing this is well known in our community and it was principally down to the synergy of three capabilities. First, his scientific expertise, he very quickly mastered the science of electron spectroscopy and later secondary ion mass spectrometry. Not only did he master the fundamentals, he quickly saw how these technologies could be applied to understand the surface chemistry of the products important to ICI’s commercial success. Second was his uncanny ability to identify who was the vital person to release the funds, to catch them at the critical moment of some materials’ performance problem or development issue to ensure the funds came to surface analysis rather than some other worthy, but obviously less commercially beneficial cause! Third and perhaps most importantly, he was able to identify and attract very able scientists to work with him. Dave wasn’t always very patient or diplomatic, but when he was in pursuit of funding for his latest project or bit of kit, he certainly knew how catch the interest (or even video evidence!) of the right person to release the funds. As a consequence as his career progressed through the research laboratories of ICI in Runcorn, Welwyn and finally Wilton his group was miraculously always at the forefront of electron spectroscopy and later SIMS instrument performance. Not long after arriving in Runcorn, he obtained the upgraded ES200 from Kratos and this was followed by the VG ESCAlab in 1979 at Welwyn. In the later ’80s he obtained the VG ESCAscope for spatially resolved ESCA and the ultimate Scienta ES300 for high resolution electron spectroscopy. This instrumentation along with the expertise of his colleagues formed a truly world-beating array of XPS capability. In the late 1970s he also picked up the SIMS vision. He visited the Manchester group to see the early work on the surface chemistry accessible with static SIMS. A collaboration developed that lasted for the rest of his ICI career. Very quickly he saw how XPS and static SIMS were complementary techniques both in the chemistry detail they provided and in their surface sensitivities. Static SIMS was still in its infancy in regard to understanding the spectral relationship to surface chemistry. Dave believed static SIMS was made for polymer characterisation and he set out to prove it. In the early 1980s he stimulated VG to modify the ESCAlab with addition of a high performance quad and ion gun so that he could study polymer films using both techniques. The resulting instrument morphed into a dedicated SIMS instrument – the VG SIMSlab. A particularly important early study was to establish the spectral character of a virgin polymer surface. Without careful control of the primary ion beam dose the chemistry of the surface could be damaged and the resulting spectrum would not reflect the virgin surface chemistry, a hopeless outcome if one then wanted to follow chemical changes due chemical modification. At the time there was some dispute between Dave and one or two other notable polymer researchers as to whose spectrum was truly characteristic of the virgin surface. Dave won! With the Manchester Group he collaborated with VG to develop the VG ToFSIMS in 1986. Then in 1994 he obtained the PHI 7200. As with electron spectroscopy, Dave’s group was always at the cutting edge of instrumental capability in SIMS. He could always argue very effectively that this was vital for ICI product performance and development. Of course such an argument would have fallen flat if he had not been able to point to major successes as a consequence of ICI’s forefront position in surface analysis. But the evidence was there, for example ICI Films estimated that the return they got from their investment in surface analysis (~£500k per annum) was between 100 and 1000 fold! Excellent science providing major commercial returns, what greater accolade could Dave and his group have? 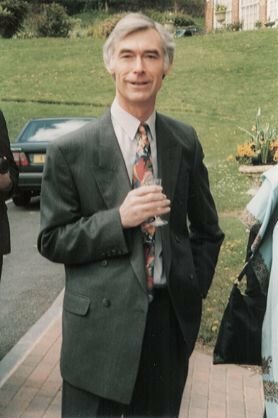 Dave was a driven man and all of this success was accompanied by a strong desire to see forums provided in which research into both the development and application of all techniques for the analysis of surfaces, interfaces and thin films could be shared. To this in the end he was deeply involved in establishing meetings where colleagues could discuss their work, and in providing publishing opportunities for detailed accounts of research and techniques. In the 1970s he was a prime mover along with other colleagues in the establishment of both the UK ESCA User’s group and the UK SIMS User’s Forum that have morphed into the present day UK Surface Analysis Forum. He was also very much involved the establishment of the ECASIA series of conferences in the early 1980s. It is in publishing that Dave has made some of his most significant contributions. In February 1979 (less than 6 years after PhD graduation!) he founded Surface and Interface Analysis. He was Editor- in-Chief until 2000. In addition to over 200 papers he also participated in the production of 10 books sharing his expertise with the developing community; ‘Practical Surface Analysis, Parts 1 and 2’ with Martin Seah, and ‘Surface Analysis of Polymers by XPS and SIMS’ perhaps being the most widely accessed. Dave was always concerned about the quality of spectra obtained from both XPS and SIMS. Following early efforts with John Wiley & Sons to deliver standard spectral Libraries of XPS and SIMS spectra, Dave joined with John Vickerman and Alex Henderson in 1997 to establish SurfaceSpectra Ltd to deliver an enhanced version of the XPS Polymer Database previously published by Wiley and a SIMS spectral database, followed by two books concerned with the application of XPS and ToFSIMS to surface analysis of materials. Dave retired from ICI in 1997 as ICI began to disintegrate into smaller product based companies. Sadly it was no longer the company that he felt he could work within and continue developing new science and materials. He was only 50 and he moved with Jill and his beloved daughter Cherry (born in 1984) to Malvern. In some ways he wanted to move on to a new sort of life, but he had so much expertise and knowledge that he could not settle. The School of Pharmacy with others at the University of Nottingham offered him the opportunity to continue his research interests as a part time Professor for several years at the turn of the century. Jill his wife agreed, but only if he gave up his SIA editorial commitments. She thought that if he did this he would stop reading so many papers and she might see more of him! He agreed, but I am not sure it had the required outcome for Jill. The University certainly benefited from his fund raising skills as he promoted research projects that required the purchase of an IonTOF IV instrument. Eventually however he weaned himself off surface analysis and became utterly absorbed in researching the life and achievements of Gilbert Briggs, cousin of Dave’s grandfather who was the father of hi-fi sound in that he developed the Wharfedale Loudspeakers. The research culminated in another book, published in 2012 –‘ A Pair of Wharfedales – The story of Gilbert Briggs and his Loudspeakers’, a fascinating story of the development and technology of these iconic symbols of the hi-fi age. Dave felt privileged to be related to this man who was a driven visionary just as Dave clearly was. In the last few years Dave developed a series of talks that he took around Probus clubs in Worcestershire and Herefordshire. A Probus club is a local association of retired and semi-retired professional and business people who meet weekly or monthly to hear interesting lectures! Dave had three talks: ‘My boyhood Pennine home’ referred to above; The story of the Wharfedales and an account of the surface analysis research behind ICI packaging films. It is a testimony to all that he was and accomplished that right to the last few months he was very much in demand for these talks. It has been a privilege to travel with Dave and he will be very much missed.